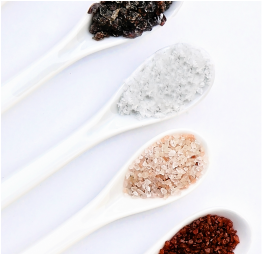 SALTOPIA™ has traveled the world, hand selecting the most beautiful, perfect and rare Naturally Harvested Salts. 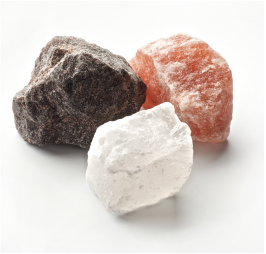 Some of our salts come from the tops of oceans, others from far underground in salt caves. All are pure. All are natural. All are chemical free. Every human body reacts to pure Naturally Harvest Sea Salt exactly the same way. 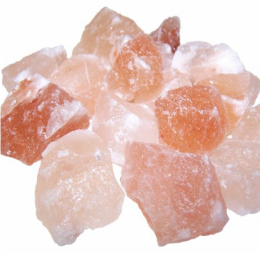 The IONS found in Naturally Harvested Sea Salts brings the body’s regulatory system (homeostasis) into balance. A balanced homeostasis means everything is normal. Normal organ functions, normal blood pH, normal digestive system , normal brain activity, normal respiration, and it also helps remove heavy metals from the body. With Naturally Harvested Sea Salt, the body won’t suffer the effects of edema (water retention), because the body will no longer need to sacrifice its own precious cell water as a means of protecting your organs from the damages of the poisonous sodium found in most processed and chemically refined salts, including "man-made sea salts.” This is one of the hundreds of key difference and benefits to consuming Naturally Harvested Sea Salts versus manufactured salt. For a complete, separate listing of our entire HIMALAYAN PINK line, including our cooking slabs, please click here.